Guo, S, Grzelak, L.A, & Oosterlee, C.W. (2013). 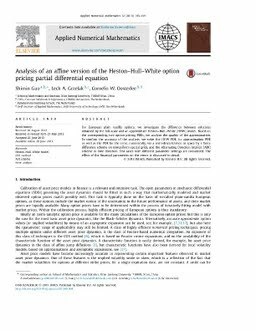 Analysis of an affine version of the Heston-Hull-White option pricing partial differential equation. Applied Numerical Mathematics, (72), 143–159.